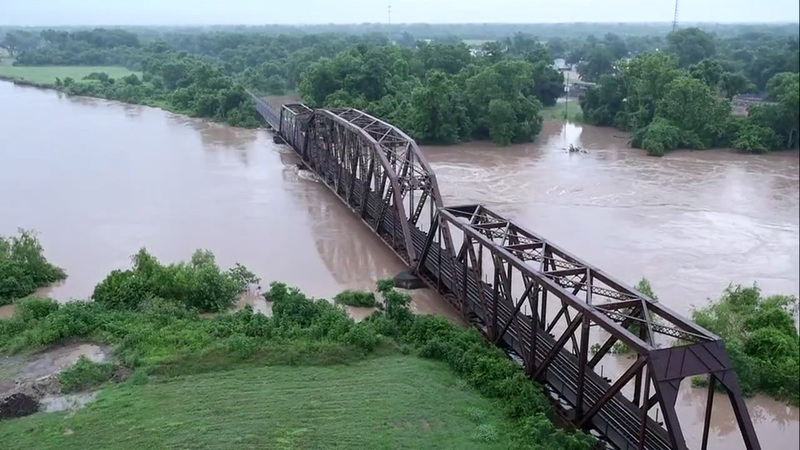 Officials issue boil water notice for parts of Brazoria Co.
BRAZORIA COUNTY, TX (KTRK) -- Flood victims and those living on land in Brazoria County with private water wells should not drink, bathe or cook with well water, according to officials. A boil water notice has been issued for residents living in flooded areas of the county, in addition to those who use well water for daily use. Brazoria County officials say water should be tested at the Brazoria County Water Lab at 409 East Orange, in Angleton. You can learn more about how to collect water samples on the Brazoria County website. Officials say if you boil water for drinking purposes, you should boil it for at least one minute. Residents can also use chlorine or bleach to disinfect water. You can also use one-eighth of a teaspoon of ordinary household bleach per gallon of water to also disinfect your water.